What would you look like, in the future, in a galaxy far far away? 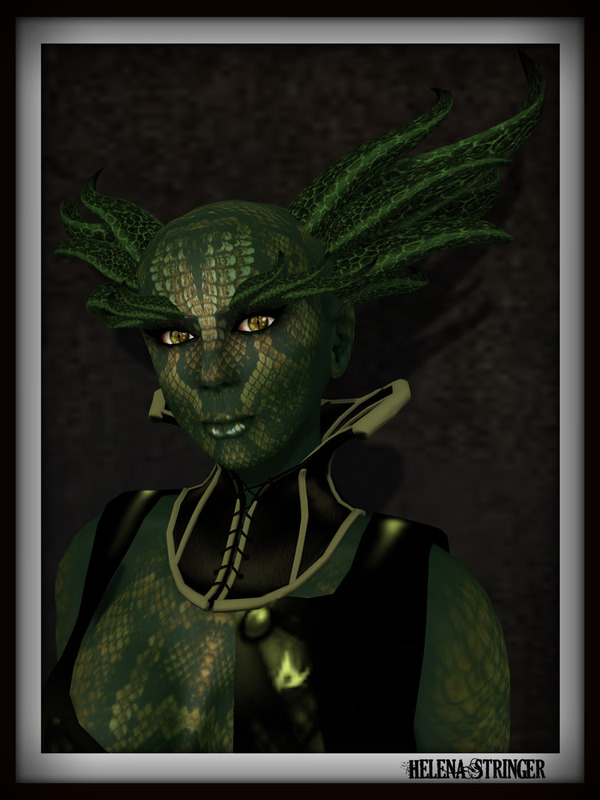 Soul has released head tendrils as their new offering at We Love Roleplay for April. They come hudded for all the current Soul Skinlines for perfect matching, but they work with Omega Appliers as well, so any skins you own with those should work. They have nifty glowy patterns, which can be tinted to any colour of your choosing by using the hud. I decided to wear my new dress from !Chop Shop!, which is a little racy, so I threw on a corset underneath. There are a bunch of colours in the shop, I liked this green one and the gold version the most. The little glowy stars are from Cole’s Corner. If ever you want a simple way to dress up an outfit, throwing on some particles will do that for you. They aren’t obnoxious, and they give you an extra something something. This week on Monday Eyeful, I dug out some eyes from Chop Shop. I wanted something a bit different to go with my new Tao Skin from Fallen Gods Inc. I also wanted to have some dual action going on, to sorta match what was going on with the skin. These are called called The Devil in Disguise Eyes, though I really don’t think you end up hiding that part of you all that well with these peepers, haha. They are priced L$100 per colour. 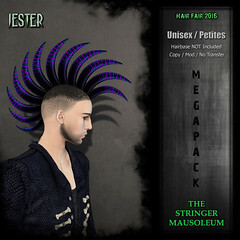 System and Mesh versions are included in the pack. If you want your own mixed up skin, Fallen Gods Inc has these Tao skins currently at Skin Fair 2016. You can view all the options and available appliers at the Official Site HERE. Monday Eyeful – Bizerk Eyes by !Chop Shop! On this week’s Monday Eyeful, I have some non human eyes, which I felt would be good for the upcoming Halloween season. They would do well for roleplay too, they sort of look like machinery parts, to me. They are priced at L$100 per pair. 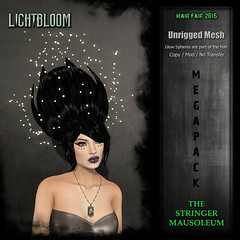 System and Mesh versions are included in each pack. Some of us still prefer to have our own personal look, and not have the face of a million. 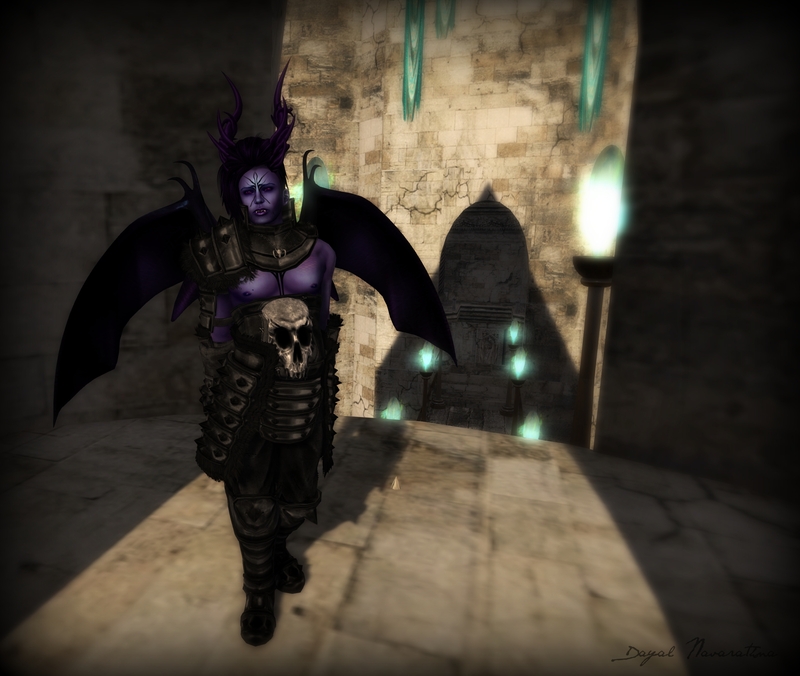 While mesh heads are lovely, there isn’t as many options for us males of Second Life. A way to get around this, but keep current to the SL trends, it to wear mesh parts, which allow for the customization of the default male head. Soul helps us with this, with their line of mesh mouths. The Kissers have a strong following with the ladies of the grid, but until recently, not as many males. This was due to lack of options, but never fear, Soul has heard your pleas, and have a bunch of new Kissers options at the current round of We ❤ Roleplay. I am wearing the Eros Vampire Kisser. There is also an Orc and Open Mouth Kissers(sold individually) at the event. The Kissers recently had a huge update, with many changes to their system. They are now functioning fully on the Omega Script System, as well as accent layers in the hud, which allow you to add additional elements to your Kisser. There are many more little features to this update, so please read about it all HERE, on the Official Site. Now, I normally don’t doctor my photos, I try to take the best inworld shots I can, and this has worked for me for many years. Today I did do a bit of playing, and I need to talk about it. You can see this wonderful tattoo on my face. It is from Fallen Gods Inc, and is called Hades. Now here is the thing, while it does have the Omega Applier, I don’t think it was meant to work with the Kissers. I couldn’t get it to work, it might be that the applier is only meant for the torso, or mesh heads that have a tattoo layer. I have to admit to not using the Omega system all that often, so I could have bungled it up. I really wanted to wear the tattoo with this outfit, for these shots, so I doctored in the missing lines, over my Kissers mouth. You can see in the first shot, I did not do any doctoring, so there is a whole section to the tattoo missing. I just didn’t want to do any false advertising. So both products work wonderfully, just not how I have styled them. The most likely cause of this is that the newest update to the Kissers has it’s own Omega Supported System, which people have to pick up a creators kit for. So the Kissers, though they use Omega, still are a little different than the general Omega scripts. 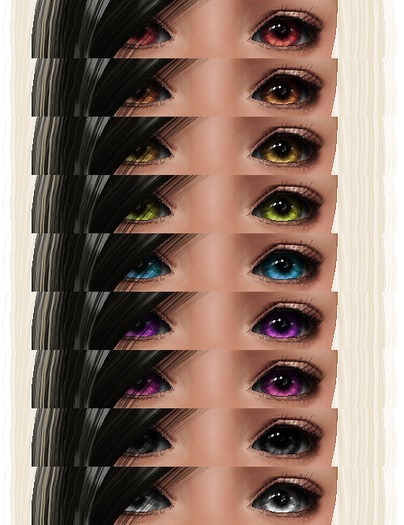 The Tattoo comes with Default Avatar Tattoo Layers, TMP, Slink and Omega Applier. On this week’s Monday Eyeful, I am showing you a new series currently out at Genre. 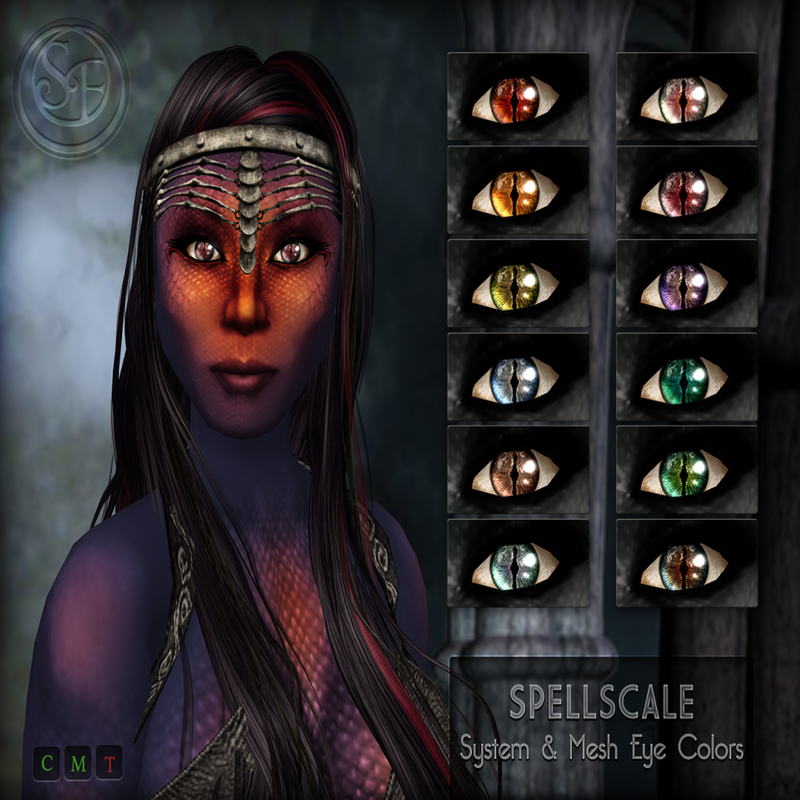 This round of Genre is themed “Age of Dragons”, and this new Spellscale eye series from Senzafine fits the theme perfectly. Priced at L$75 per pair for the duration of Genre. Since it is a discount event, you can be sure these will be going up incrementally once they return to the mainstore. Better to grab them now. There are System and Mesh included in each pack. Monday Eyeful – Rabben Eyes from !Chop Shop! 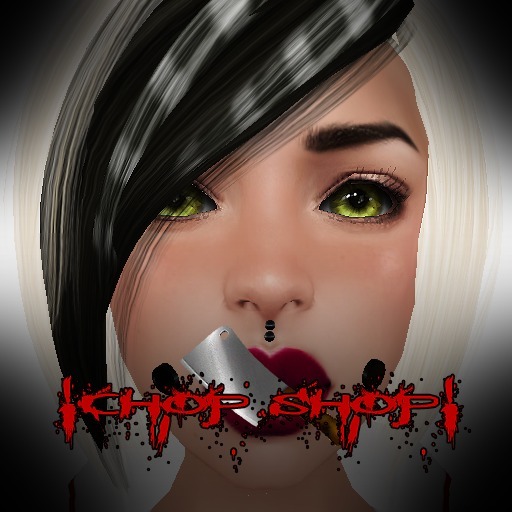 On this week’s Monday Eyeful, I am showing you an older release from !Chop Shop!. There have been a wave of older items going up on SL Marketplace, which has made me happy. The store is a newer one, having been around for less than 2 years. I missed out on a few of the earlier products, and am happy I can now fill in my collection. These eye are called Rabben, and only have System versions included. There are 9 colourations to collect, each costing only L$50, or you can grab the whole set at a discount. 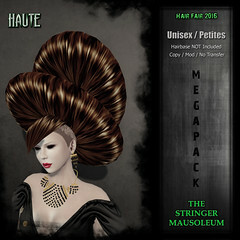 You can view the Collection HERE on SL Marketplace.